I'm sorry guys. I'm too busy to make projects now, this were just my hobby when I was a kid, until before I got a job, I was just bored. 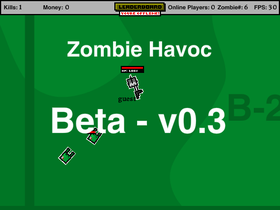 Zombie Havoc might be my last ever project. Thx for everything! Lets get 300 projects by 31th of June! The best games in scratch history!!!!!!!!!!!!!!!!!!!! !